If you’re traveling to Australia, there’s one state you really shouldn’t miss. It’s the biggest in land size and perhaps one of the less-frequently touristed. 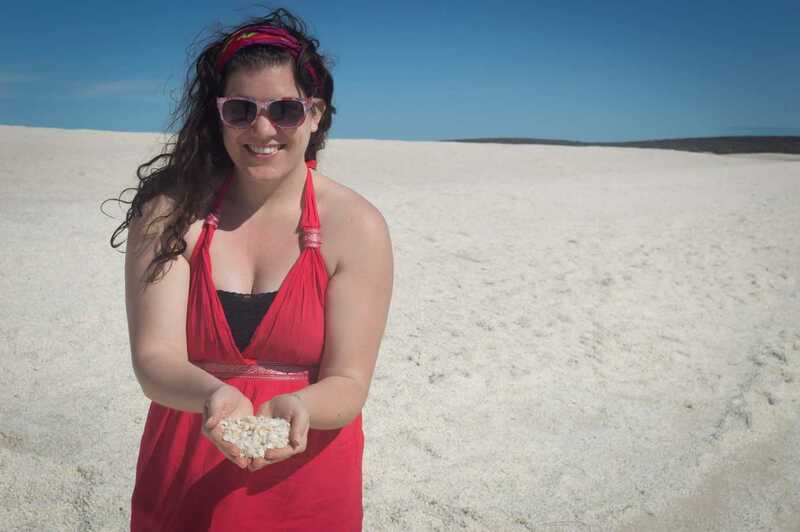 We’re talking about gorgeous Western Australia, and it’s where we spent most of our adventures down under in 2014. We drove in our campervan all over WA, hitting up the most scenic spots, camping in fascinating outback wilderness, and truly having the time of our lives. Now, we’ve decided to replicate our route for you here. May we present the very best Western Australia road trip itinerary. Guaranteed to take you to some of Australia’s most incredible spots. –Your WA road trip will start in Perth, the capital city. You can fly into Perth from other destinations in Australia or from abroad. Check prices for flights to Perth here. –The ultimate Western Australia road trip will take you about 2-3 weeks, although we recommend sticking closer to 3 weeks to maximize your experience and see everything you can. –There are options to take a bus tour around WA, but we can’t recommend doing a self-drive itinerary. If you don’t want to buy a campervan, there are lots of options for renting one as well. –Remember that much of WA is remote bush landscape. Watch for wildlife (particularly at dawn and dusk) and be prepared with spare tires, extra fuel, etc. When should you plan to visit WA? We were in WA during the Southern Hemisphere’s winter. Our Perth to Broome road trip occurred during June and July. 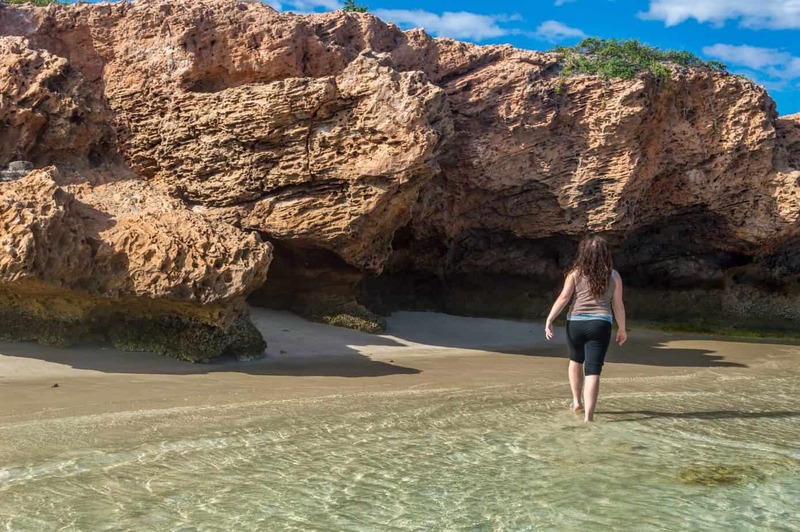 The weather was beautiful, nothing was too crowded, and we were able to time it right for many of the region’s best activities (swimming with whales sharks in Exmouth, viewing Staircase to the Moon in Broome, etc). Generally, April through October would probably be good dates for your trip, with good weather throughout the state. It could be advisable to avoid the summer months because it is a popular/busy time to travel in some areas, and because in the far north of WA, such as in Broome, the summers are very wet and tropical…aka cyclone season! We should note that our travels in Western Australia may have been a bit slower, since we were spending a whole 7 months in Australia. We opted to spend longer in certain destinations to really make the most of it. Of course, the more time you have, the better, but you can really see A LOT in just under 3 weeks. You could also skip a destination or two and turn this into a 2 week Australia Itinerary, it’s up to you. All told, the itinerary below encompasses 18 days of fun and sun in WA. Let’s go! You’re on your way! Wahooooo! Day 1 will take your from Perth north to Geraldton, WA. The ride should take about 4 hours 30 minutes, but you have a stop to make halfway. 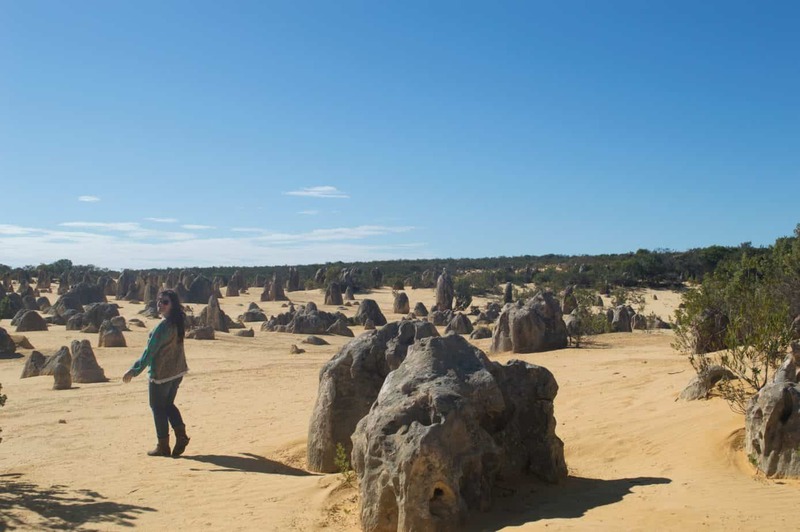 Your first stop is the Pinnacles in Nambung National Park. This unearthly desert landscape will fascinate you, especially considering it’s perched almost directly next to the ocean. Spend some time driving through the park and marvel at the huge pinnacles. They are hundreds of thousands of years old, and there’s a bit of mystery as to how they developed. Arrive in Geraldton for your first evening on the road. If you’re on a road trip in a caravan, campervan, or planning on tent camping, there are several caravan parks in Geraldton to choose from. These are always nice facilities that are fairly affordable. If you’re traveling on a tight budget, free camping is possible in many parts of Australia. This website has resources for you, including an app you can download to find spots for free camping in Australia. When we were in Australia, we loved the WikiCamps Australia app. This showed locations of campsites, caravan parks, petrol stations, bathrooms, and more. A super helpful tool for your West Australia road trip. Your next day of driving takes you up to Kalbarri, WA. It’s a short 2 hour jaunt, and you’ll be glad. Kalbarri is amazing, and there’s so much to see here. 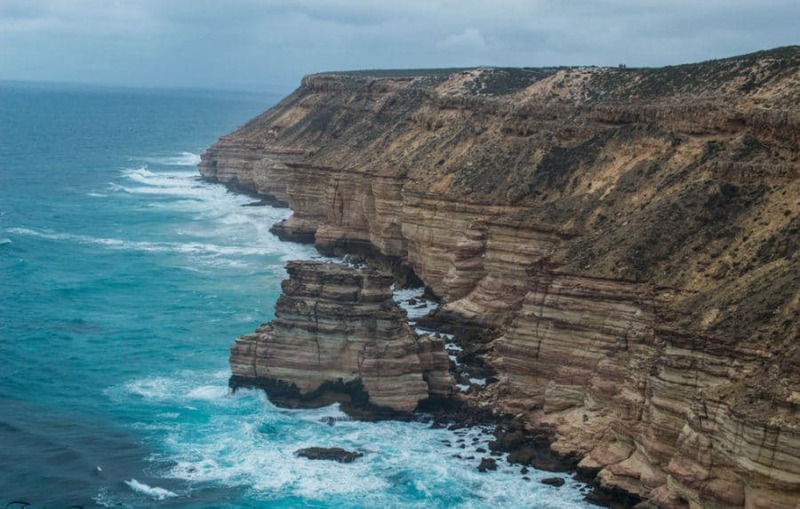 Check into your accommodation and go visit the Kalbarri Cliffs. This was one of our favorite spots in Western Australia. It’s a stunning landscape with epic cliffs descending into the Indian Ocean. 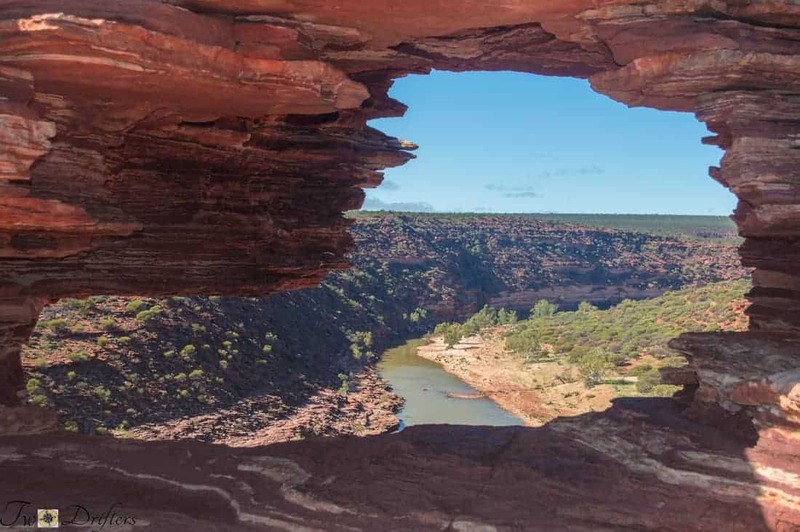 On day 3, you’ll drive eastward to visit the inland portion of Kalbarri National Park. Prepare for more stunning landscapes. A word of warning: the road into the National Park is unpaved and pretty rough. 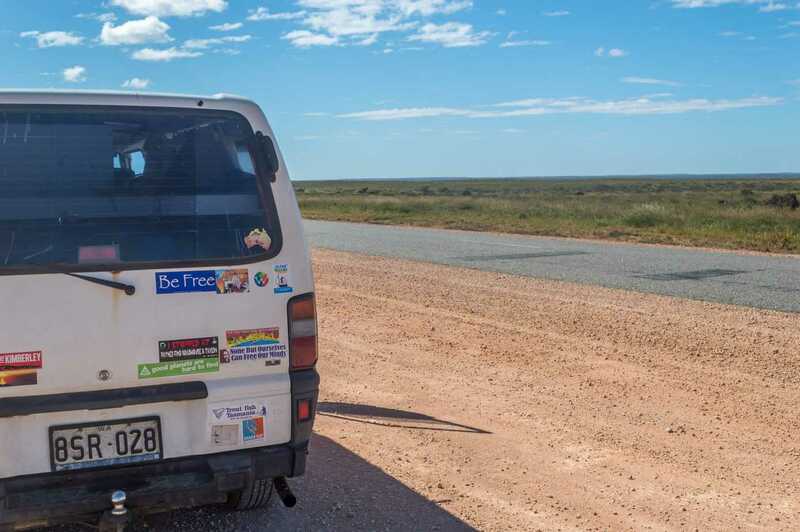 We managed it with our non 4WD campervan driving at a snail’s pace, but ideally, you should travel in a 4WD campervan. You’ll have a much easier time exploring Western Australia, and there is actually a lot more you can access with 4WD. 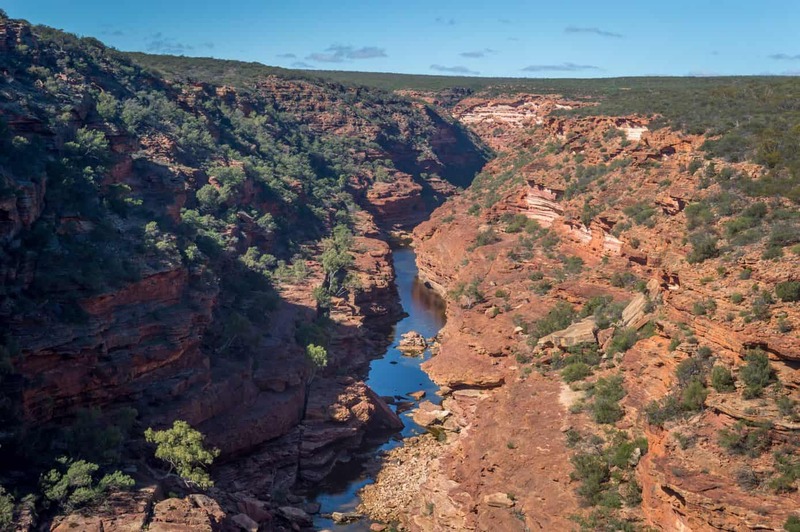 Kalbarri is a top spot for hiking. There are many good trails. We went on Nature’s Window and the Loop for a portion (see photo below of the famous Nature’s Window) and took another short trail to the Z Bend Lookout. If time allows, you could take the Z-Bend River Trail as well. It’s a difficult hike, but at 2.6km roundtrip, it’s not overly lengthy. You might just fit in two hikes in one day. The entire Loop trail is 8km, so if you aim to tackle that as well, plan to spend a second full day in Kalbarri. Today’s destination is Shark Bay, with a drive of approximately 4 hours. 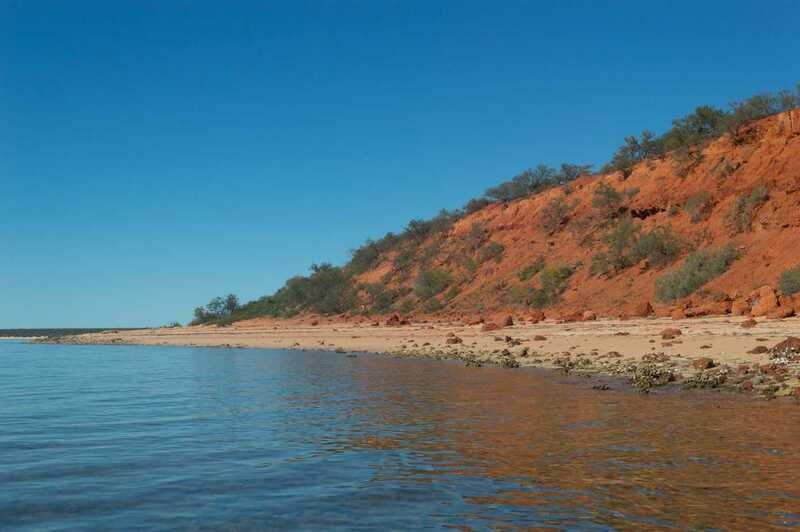 But along the road to Shark Bay, you’ll encounter a lot of great places to stop. You’re entering the start of the Coral Coast and the Shark Bay World Heritage Area. First stop is Hamelin Pool, home to the ancient stromatolites. This is one of the few places on earth you can witness these ‘living fossils.’ Stromatolites are a rock-like structure made by a single-celled organism called cyanobacteria. Essentially, they are the oldest complex lifeform, dating back some 3.5 million years. 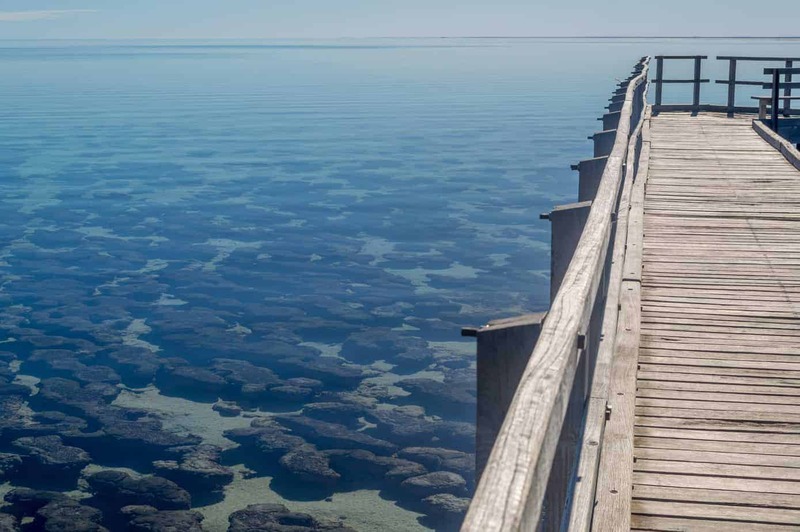 Read more about the stromatolites on Atlas Obscura. After checking out these rocks-that-are-older-than-plants, drive onward to Shell Beach. As you might guess, this shoreline is completely covered in an array of beautiful shells. You’ll want to walk along the beach and run your hands through them all, though it’s not the comfiest place to sit, that’s for sure. Your day ends in the town of Denham, where you can find accommodation. Get a good night’s sleep and be ready for more of Shark Bay tomorrow. The distance from Perth to Shark Bay is 527 miles, 849 kilometers, so congrats on clocking some mileage! Today won’t require much driving, but it will require lots of fun. We’re going to Monkey Mia, a beautiful shoreline that is bursting with wildlife. 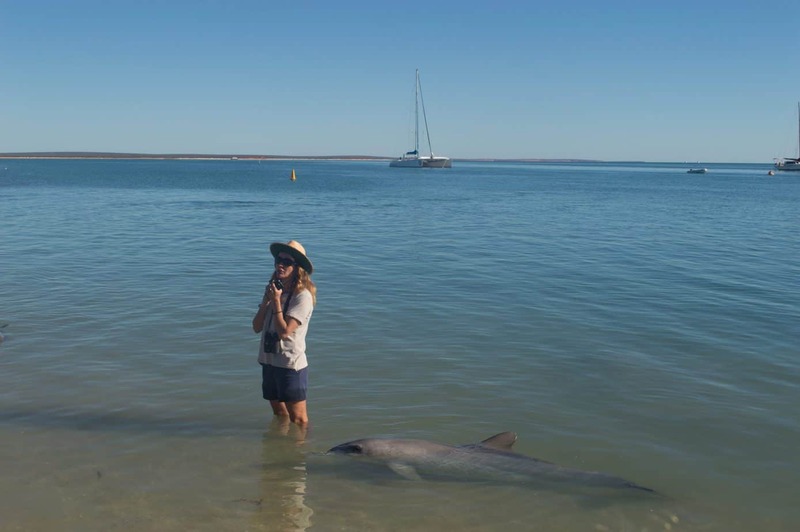 In Monkey Mia (pronounced “My-uh”) they feed a small pod of dolphins daily. These dolphins, and their ancestors, have been dropping by for years, so it’s quite a special attraction. After watching the dolphins enjoy their meal, rent a kayak and go paddling around the bay. You’re likely to catch sightings of wildlife, and some of the resident dolphins might even glide right past your boat! You have to backtrack a bit on day 6, driving back down the road leading to Shark Bay to get back on the route northward. Carnarvon is your next point of call. A humble shire most known for its banana plantations, Carnarvon is the ideal spot to stop over for a night. 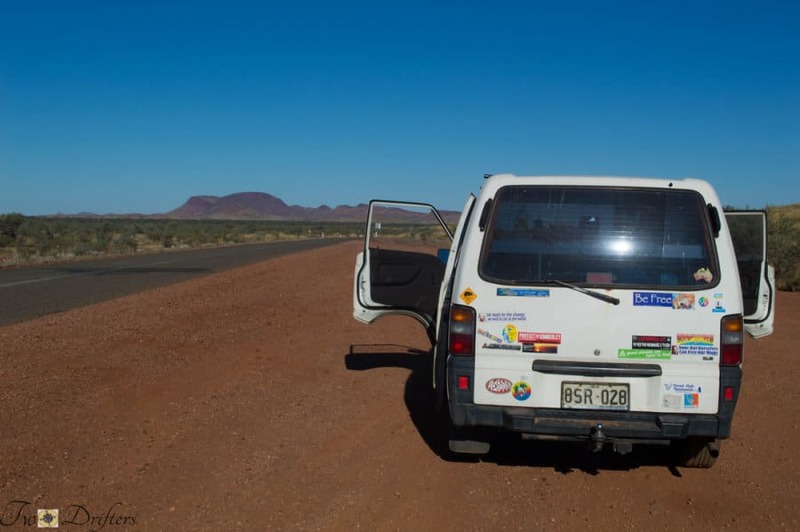 On day 7, you will travel from Carnarvon to Exmouth, a journey of about 4 hours. 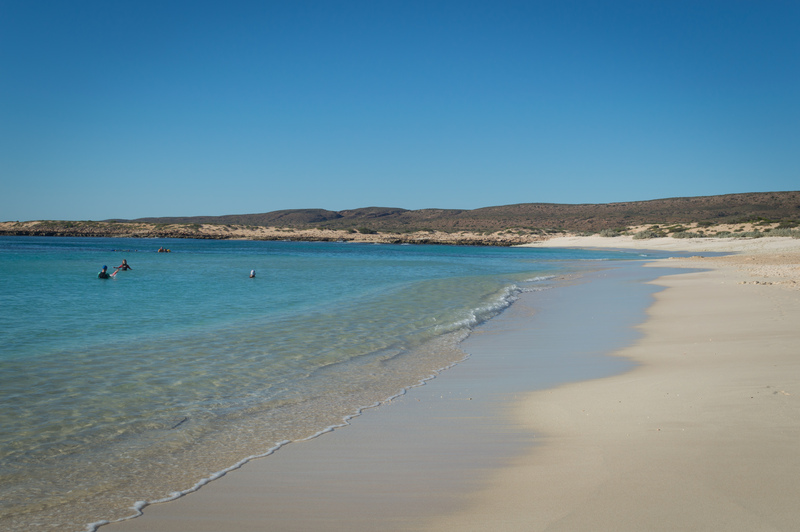 However, you’ll break up the drive with a stop at the spectacular Coral Bay. Couldn’t you swim in that right now? Coral Bay is a lovely, peaceful bay in which to swim or wade. The crystal clear water is beautiful to look at, and the rock formations on shore are quite impressive. 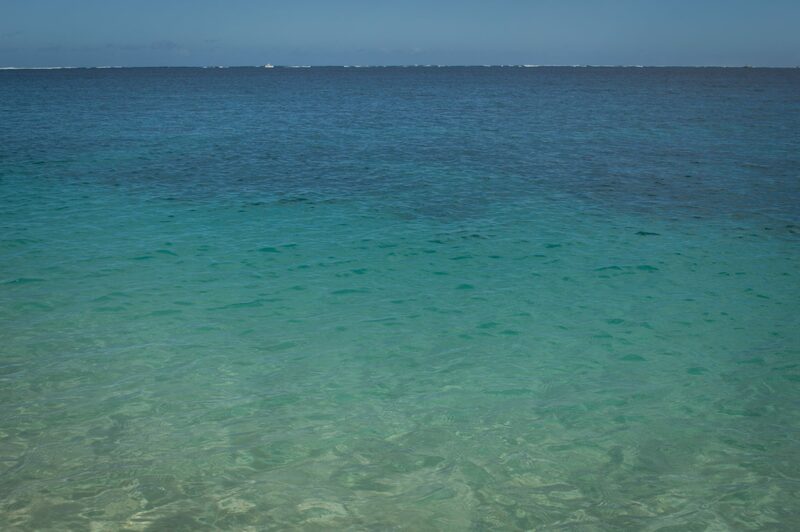 This is Australia’s only fringing reef, and the coral begins right at the shoreline, so it’s the perfect place to go snorkeling, particularly for beginners or for families with kids. From Perth to Coral Bay is 1200 km, so you’ve definitely covered some distance in your one week in Western Australia. If you have time, or want to spend an extra day in Coral Bay, you might look into this fun quad bike tour along the dunes. Australian travel bloggers YTravel wrote about the tour here, and it sounds like a blast. If you’re continuing on to Exmouth tonight, hop back in your van and keep going. Exmouth is a popular holiday spot so you’ll find plenty of accommodation. We stayed at the RAC Exmouth Cape Holiday Park, which was very comfortable and had a tropical-inspired swimming pool. Now, we highly recommend spending at least a few days in Exmouth, because there is so much to see. 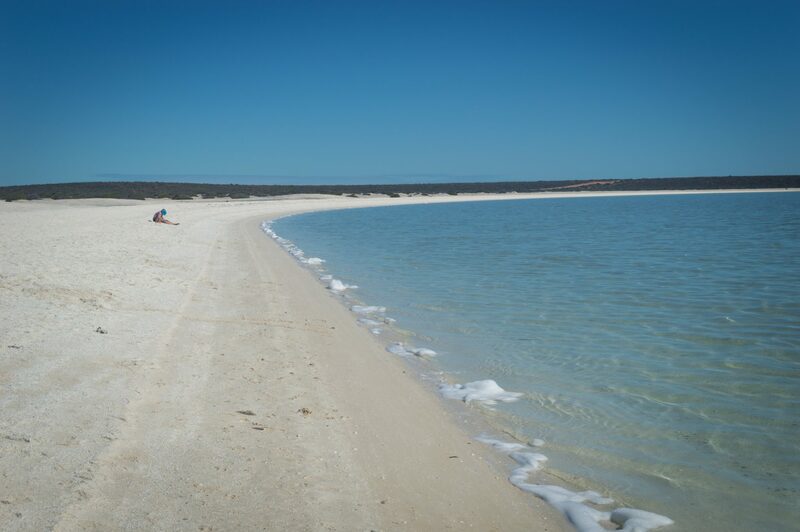 This is also the halfway point of your trip, your next long stretch being Exmouth to Broome, so why not rest awhile? When we were here, we spent about 4 nights in Exmouth. While you’re here on the Ningaloo Coast, you have to go whale shark swimming if the season is right. Swimming with whale sharks was by and large one of the coolest things we’ve ever done, and for me, one of the scariest, too! Whale sharks are the world’s biggest fish, and they are filter feeders. In other words, these gentle giants (and they ARE giants) won’t hurt you and they certainly won’t eat you. There are a number of tour providers, but we went with Kings Ningaloo Reef Tours. They provide the best whale shark tours Exmouth has to offer. We loved the captain, the crew, and the experience. March through August is whale shark season in Exmouth, so if you can schedule your trip for those months, you absolutely should. Your whale shark tour will take most of a day, so on your other day in Exmouth, go explore the cape. You can snorkel at the aptly named Turquoise Bay or visit one of countless other insanely spectacular spots. This is such a tremendous part of Australia. The Sweet Wanderlust has an epic guide to 50 things to do in Exmouth, so definitely check that out when planning your trip. One more thing, grab fish and chips at Blue Lips because it is amaaazing. Okay, time to begin another long day of driving. Your ultimate destination is the magical Karijini National Park, but from Exmouth it’s almost 8 hours. So we suggest driving, camping overnight, and then finishing the drive on Day 11. The stopping point is up to you. You may consult your app or camping guide to find a great spot out in the middle of nowhere! Rise and shine travelers, because today you’ll be going to Karijini National Park. We did explore some beautiful spots though, which we’d highly recommend. 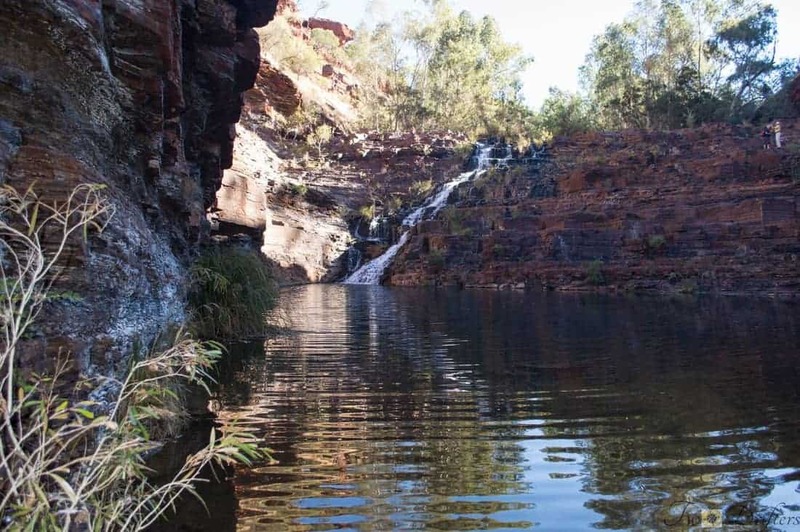 During your stay in Karijini, we recommending camping in the park’s campground areas. We enjoyed Dales Campground, where we stayed. 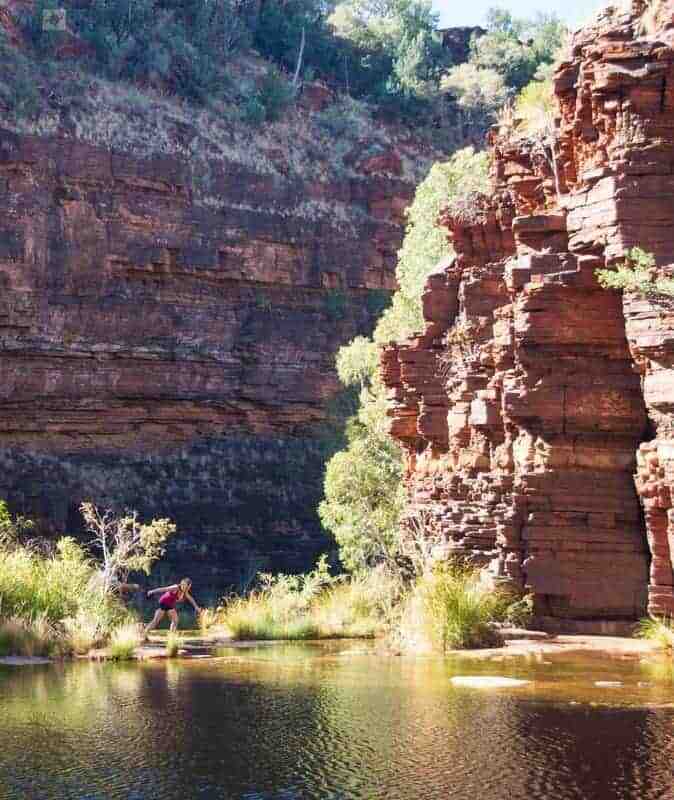 From the Dales Campground, you can embark on the Dales Gorge hike, a 3 hour roundtrip which will take you past Fortescue Falls (pictured below), and to the beautiful Fern Pool as well. It’s a glorious hike, surrounded by towering red rocks. On a hot day, hop in for a quick dip to cool off. Today, why not go on one of the other hikes? Here is an excellent guide to 4 of the best hikes in Karijini National Park. It includes the one we did, Dales Gorge, but the other 3 are so amazing I feel envious just looking at the photos! Enjoy a day of hiking, swimming, then a night under the stars. If you so choose, spend a third full day in Karijini. You can tackle one of the other hikes or go for another swim. Okay, this is where the itinerary becomes somewhat flexible. The distance between Karijini National Park and the city of Broome is an incredible 963 km. In other words, a nearly 12-straight-hour drive. So you’ve got a few options. There’s not much in the way of destinations along this remote stretch of the Great Northern Highway so you might opt to rise early and drive the whole route in one day. Or, take it slow and stop at a few camping points along the way. Whatever suits your fancy. 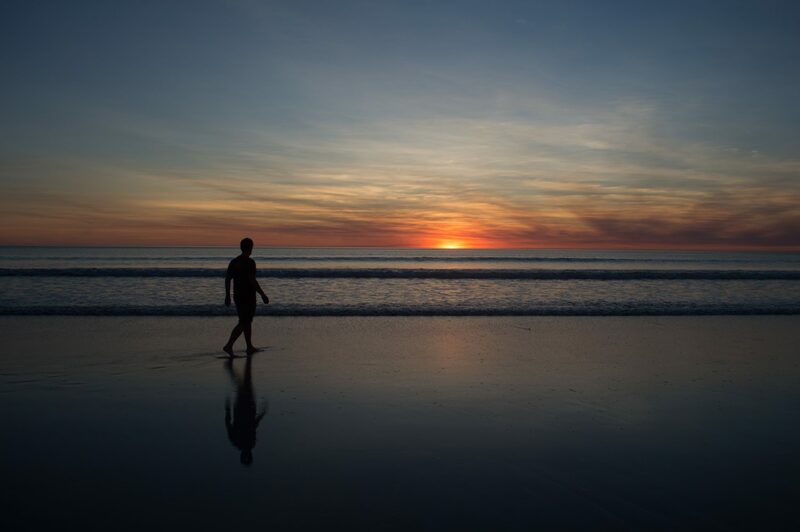 Finally, the final stop on your itinerary for Western Australia: Broome. 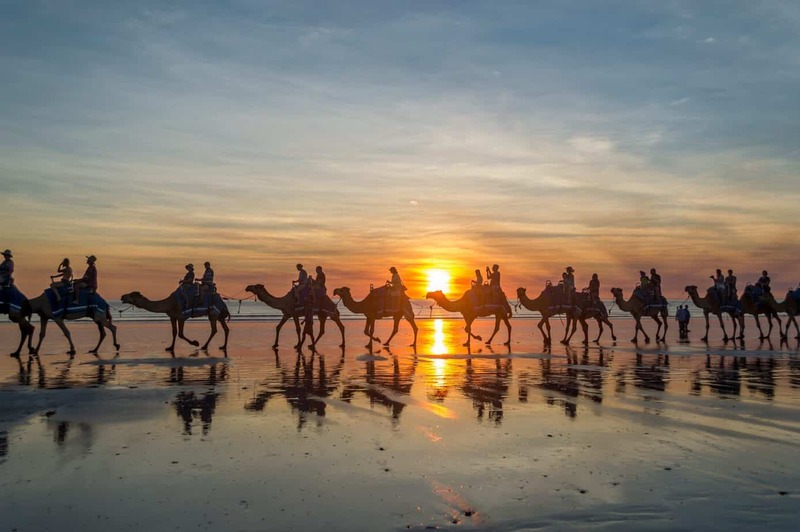 Broome is the gateway to the Kimberly region, so if you’re traveling on the Northern Territory after this, you’ll start to see a changing landscape. If you can travel further, we highly recommend it. Broome is a town which feels extremely tropical. Some of its vegetation feels nearly Asian in nature, so it’s a unique place for sure. There is shopping, dining, and other typical tourist attractions, but there are a few standout things to do in Broome. A visit to Cable Beach is a must. This is a wide beach that receives some of the world’s best sunsets. You can schedule a camel ride at sunset with one of the many tour operators, or just take a photo of this unbelievable site. 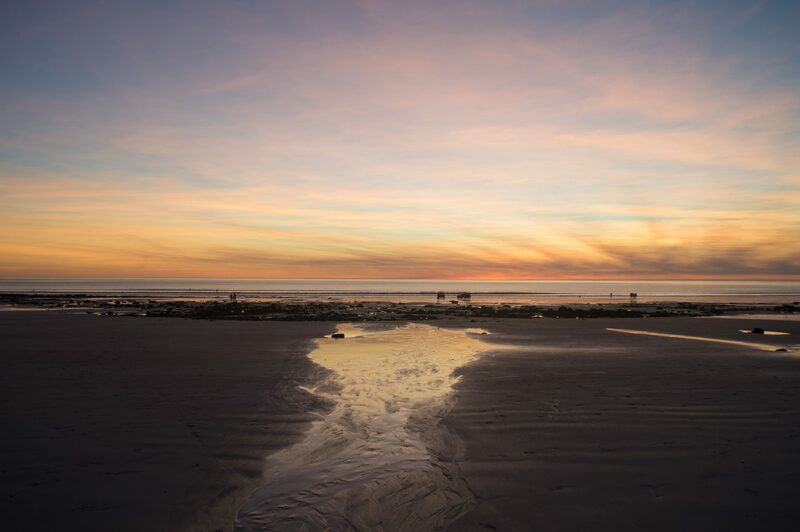 No two sunsets are alike at Cable Beach, so it’s worth going back each night of your visit. If at all possible, we do recommend timing your visit to Broome to coincide with the Staircase to the Moon phenomenon. This happens once a month from the months of March to October. 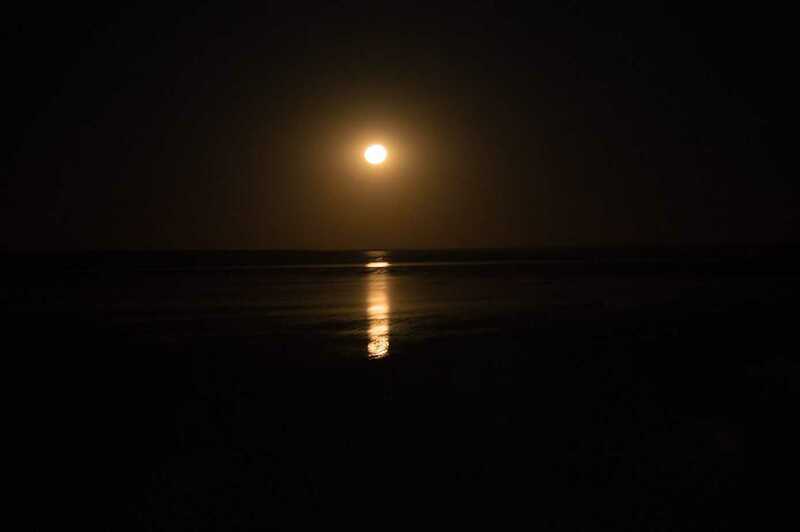 The Staircase to Moon is a unique event in which the rising moon is reflected over the expansive tidal flats of Roebuck Bay. The tide is very low during this time, and the resulting reflection has the distinct appearance of a stairway rising up toward the moon. Our photo of it does not do the view justice at all, but it gives you a vague idea of how it looks! If you’re looking for what to do in Broome on your second day, consider a trip to Horizontal Falls. Google shares that “David Attenborough once described the Horizontal Falls as one of the greatest natural wonders of the world.” If David gives it his seal of approval, you know it rocks. You can take a boat tour through the falls. It’s not truly a waterfall in the traditional sense, but the movement of the ocean between two rocky outcroppings that creates a “horizontal waterfall.” Intriguing, no? Alas, the end of your road trip of Western Australia has ended. Now it’s time to either continue on towards the Northern Territory or return back to Perth. 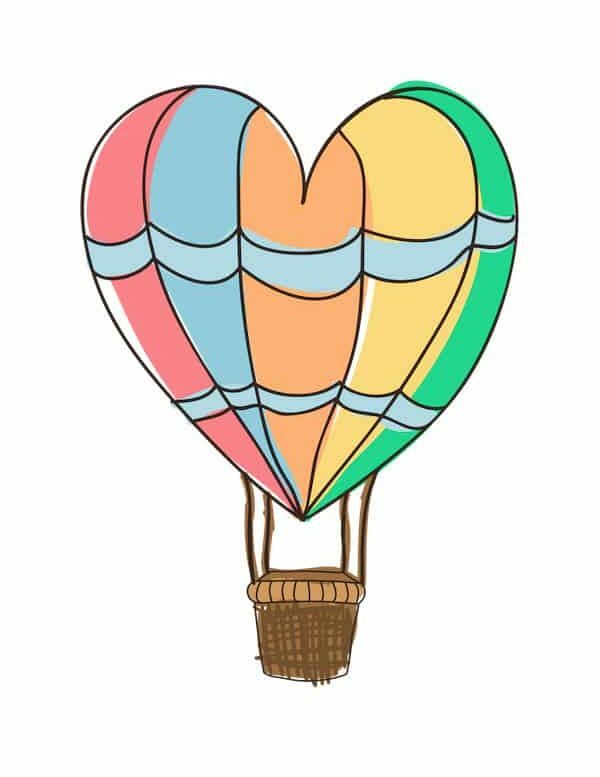 The return drive would be long, as you can imagine, so consider flying back to Perth or onto your next destination. Heading down under? Check out our other Australia posts! Pin this post to save for later! !